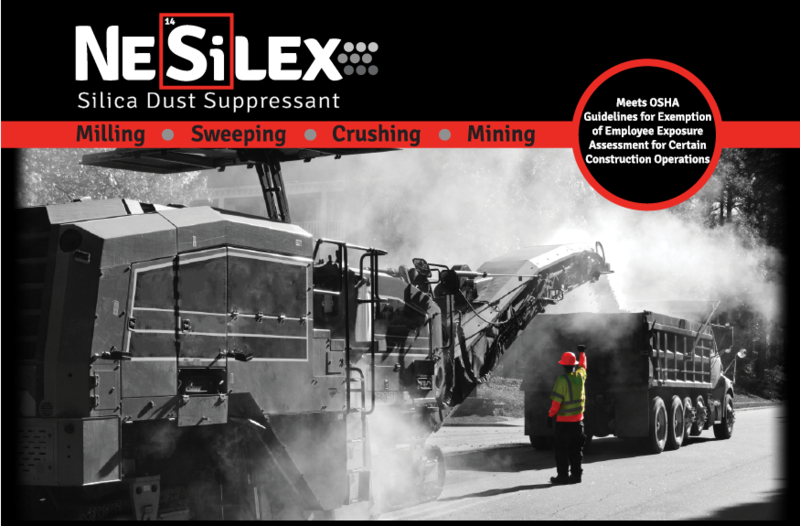 NeSilex is formulated specifically for the construction industry to reduce worker exposure to crystalline silica dust. It allows employers to maintain OSHA compliance and goes beyond the minimal guidelines to ensure a safer work environment. NeSilex can be used in various construction activities including milling, sweeping, crushing, and mining. Preserves Milling Bits – Decreases surface tension of water allowing for wetter, cooler, more lubricated bits. Visit www.nosilicadust.com to Learn More!